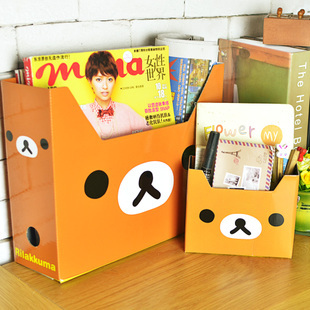 If you’re not familiar with Taobao, it’s basically Chinese Ebay. You can’t buy directly from them unless you have a Chinese bank account and have a place in China to ship it to. So if you live overseas like me, you have to use an agent to do the ordering for you. This post will be more about the review of the items. If any of you guys are curious on how to actually make an order, I’ll be more than happy to make a post. 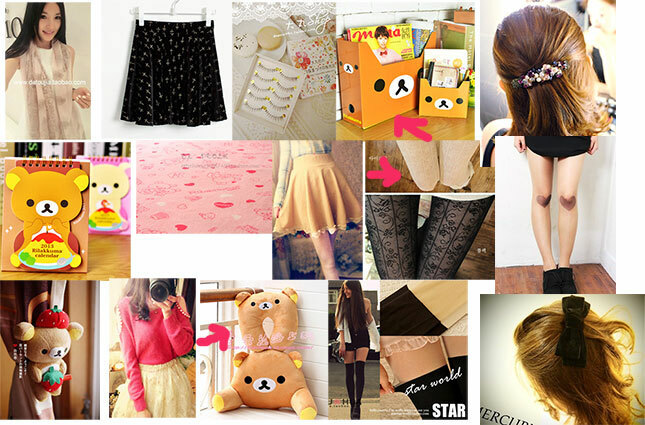 So here’s my Taobao haul! So this is the breakdown of what I got. I’ll review each item thoroughly. Scroll to see the rest! The reason I got this was that I wanted a scarf to universally match everything! It’s a really muted color that will match dark/light coats. But it’s also suitable for all seasons. And it does what I asked for! And it only cost $3.20! I have been having a hard time finding a scarf in Dublin here. I went to TJ Maxx and the most inexpensive scarf I could find was at least $16 and the seams were not properly sewed.. I couldn’t imagine how long that lasted. I will never understand the markup on a piece of fabric that requires next to nothing in terms of sewing. This also has become my official shawl at work whenever the AC is on too cold. WHICH IS NEARLY EVERY DAY. So it’s a life saver! 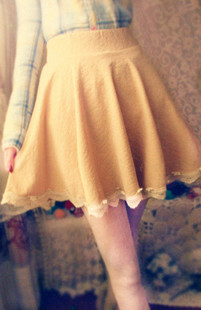 I wanted to like this skirt so much. But nooooo! 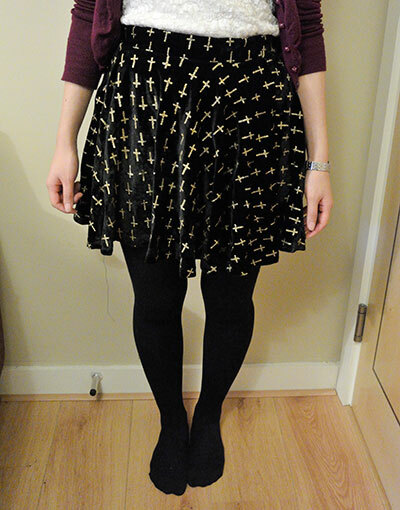 First of all, the elastic band at the waist of the skirt was twisted making it difficult for me to put it on. Secondly, the print of the cross is really cheap. It feels like glue was placed on and glitter was poured on after. Doesn’t that sound like some art project you did in elementary school?! Either way, I just can’t imagine the print on this lasting more than a couple washes..
And there’s also very apparent loose threads.. So I’m sure you can say a lot about the workmanship on this piece! The fabric is velvety and thick. That’s the only positive thing I have to say about it.. 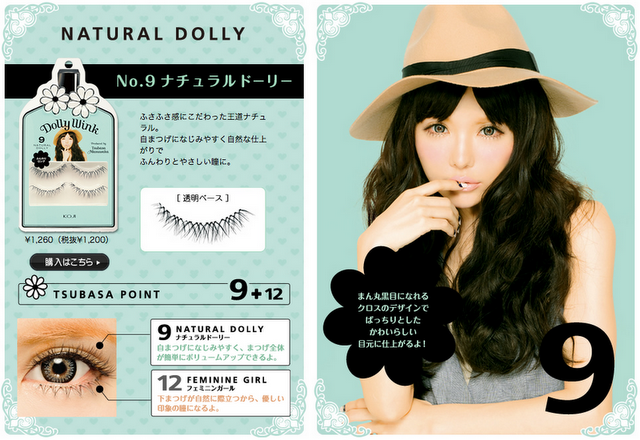 These were advertised as Dolly Wink’s No. 09 Sweet knock offs. They don’t look quite alike, but I’ve tried them on and I think they look great. And I’m happy enough it’s a similar style! 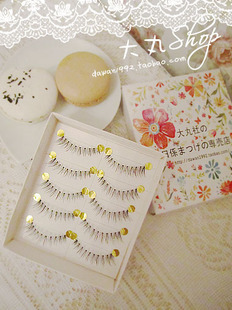 They also only cost a fraction of how much Dolly Wink’s are – $13.50 on Sasa.com for 2 pairs! 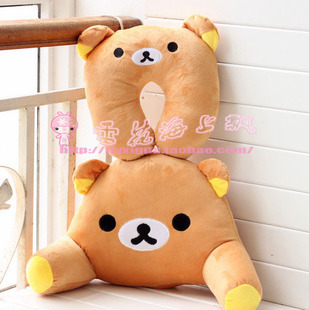 So it’s not a good knockoff, but I still think it’s cute. The holder does it’s job so I’m happy. I think what the stock picture has inside the box is accurate – as in yes, it can fit in a couple of those huge Asian magazines. Just don’t move it to stress the box! And call me crazy, I love it enough to use it at my office. Hopefully none of the external visitors will think I’m insane or 12.
a. actually has this calendar already except from 2012 and it was also legit! 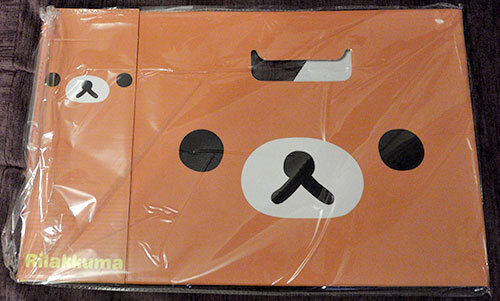 But cost like $12 when we bought it at Kinokuniya in the States. So how does it compare? Well, I won’t be picky about a calendar. It’s pretty much the same. The colors and fonts weren’t always completely the same. And the only thing that mattered to me was that it didn’t look cheap and scream knock off which it succeeded at. I’m so in love with this blanket. It is sooooo nice and fluffy and warm and I am literally using it all the time whenever I sit down on the couch. And it is pink and super duper cute. What more could a girl ask for? 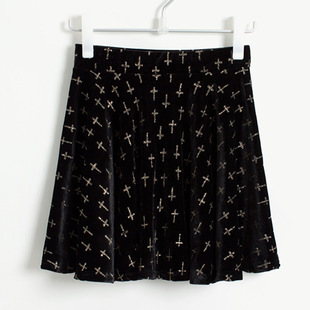 Considering the price of this skirt ($11) compared to the Cross Patterned Skirt ($10.60). This was so much more worth it! It is a lot better quality. 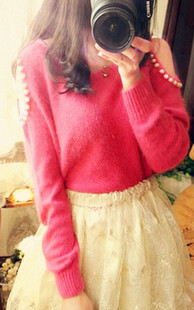 It’s a nice dolly skirt and came as expected. It is a little uncomfortable getting past my hips which doesn’t surprise me considering how skinny the model looks. I got these in white… and they’re just OK. I haven’t worn them once which is a sign. 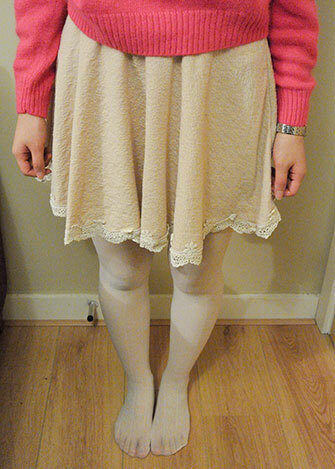 I am actually wearing them in the above picture with the Cream Skirt. And you can hardly see the pattern! 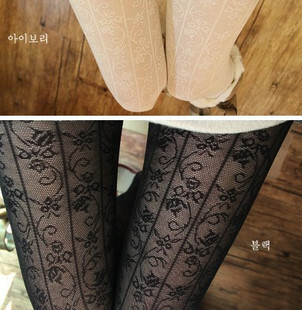 I guess it is similar in the stock photo, but they really just look like white tights with a hint of pattern. I bought this to hold the curtains since a.’s computer sat next to them and he was concerned the curtains might be affecting the heat exchange with his computer or something..
Well, they’re really cute. But they do indeed feel cheaply made. 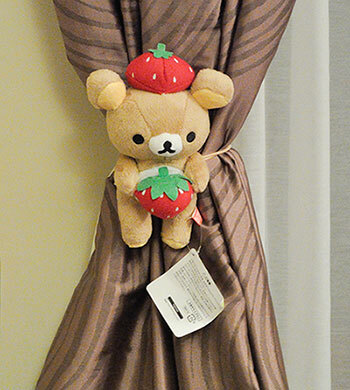 You need to pull an elastic around the curtain to hold the bear in place. But I’m a tad worried it’s gonna get worn down fast and break. We’ll see.. But considering the price, I guess I got what I paid for. Also, I got 2 of them and they are like twins. They hate the day time because it means they have to hold the curtains and be away from each other. They are always waiting for the moment it is night time again so they can be together once more.. I didn’t quite process that this sweater cost that much. Sometimes you forget when everything is in a different currency..
It’s good quality. It’s fluffy. But I don’t look at skinny and petite as the model! Anyways, I do like it and loads of people complimented me about it. Although one guy asked if I had moths at my house that created the holes in my sweater! And oh god, I just did a Google Translate of the name of this sweater.. and it’s made from rabbit fur which I AM TOTALLY against. Now I feel so dumb and horrible! Because rabbits are my soul mates! But I guess I shouldn’t take from the quality of the item and it’s my fault for not knowing? I got the one higher up in the picture. It’s a bit cheaply made, but I’m not sure if I should have expected more considering the price. Anyways, I hope it’s capable of round trip to States. Currently, it’s hanging out with my other stuffed animals who are very confused as to why it’s so oddly shaped. Poor guy. Everyone loves you still! I did a thorough review here! I wore these in my shoot! See full shoot here. I got them in 80 denier. 20 denier is what is pictured in the stock photo probably. And now I wish I got them in 20! The stock photo looks so much better! Anyways, I think these are a cute novelty and they totally helped make my coordinate much more lively. They were inexpensive as well. They also feel sturdy so no worries about them breaking any time soon. And last but not least, they are matte. I don’t know why, but I just think glossy tights look distracting. I was feeling in one of those moods where I thought my hair was super boring. Or that I just needed something to spruce a boring office outfit so I decided to try this. When it came, the metallic part of the clip was dirty. It looked like it had been sitting in the dust forever and hadn’t been wiped once. I am moderately satisfied with this clip. Maybe I’m not that creative with how I’m using it, but I still feel bored with it on! I ordered this in dark blue. However, it hardly shows up – it might as well be black. Which doesn’t work great for me considering I have black hair! If it weren’t the color issue, I’d totally be in love with clip. It’s still really cute and I am happy with the purchase overall. And I don’t feel bored! 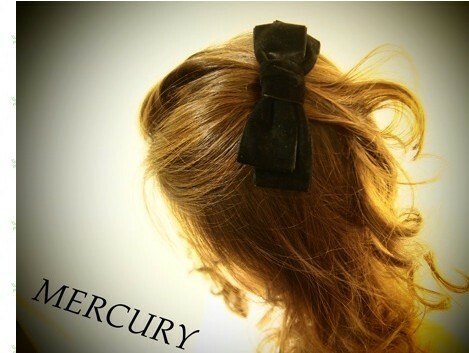 Taobao has more variety than I could ask for. It really has pretty much everything. I know I want to buy from loads of online stores, but Taobao is the only site that makes it so convenient having all styles of everything in one place. strawberryjam is sad – you killed rabbits for this! When you see the price of items – it doesn’t seem like a bad deal. But all the costs add up, especially international shipping. I did not pick the fastest shipping at all, mind you. I guess you just have to be careful about the weight of what you buy. Each of the products have a possible rating 5 out of 5 stars, but I don’t think reviews are very accurate. Many of the items I bought had at least 4.5/5 stars rating. 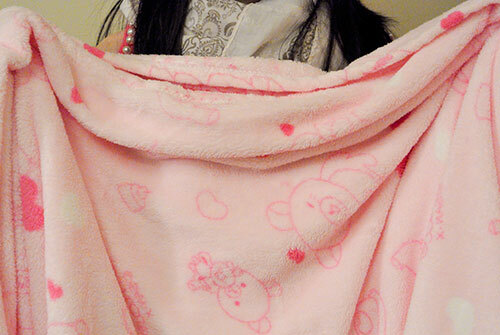 One of the few items I did buy that did not have ANY ratings was the blanket – my most favorite item in the lot. The blanket was great quality while some of the other highly rated stuff was not. I’m not sure it was completely worth it. 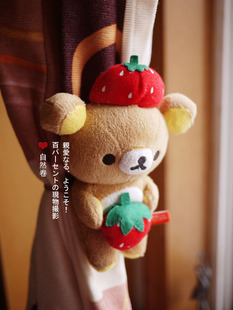 The only item I’m super obsessed with is the pink Rilakkuma blanket and it’s not something I’d make an order on Taobao for specifically. I think it’s accurate that you get what you pay for. Cheap items = cheap quality. While I’m not completely happy with this order, I’ve already started compiling a new order and I will probably hate myself for it. But the selection of items is making me do it! 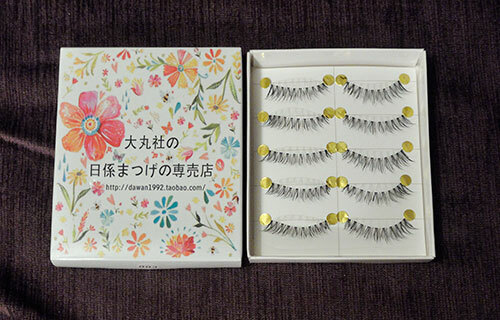 This entry was posted in blog and tagged haul, review, shopping. Post a comment or leave a trackback: Trackback URL. All the prices are so SHINNY (not the shipping)…I can’t understand how can they earn anything from selling things that cheap!? And I kinda doubt the pink sweater is made of rabbit fur…. I know! It’s seriously misleading seeing the inexpensive prices. I’m still sorry you can’t get the tights. I did a check on how much shipping would cost and it would be estimated $6. 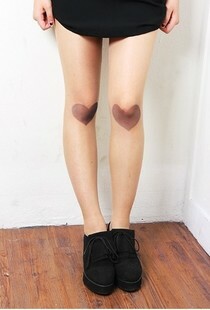 Not too expensive, but it’s still expensive for a pair for tights. And I honestly hope you’re right about it not being rabbit fur! Thanks a lot for your comment, kaki. I really appreciate having someone follow me! Hi nux! Thanks a lot for your comment. It’s very comforting knowing no one was killed. And I was seriously amused reading about Angora wool. I sure have seen the term thrown around, but didn’t know they came from rabbits. Rabbits that look like THAT. You have seriously inspired something in me and it’s dangerous. I could imagine having 20 of these rabbits in my house now, haha. BUT GOD, I WANT AT LEAST ONE OF THESE THINGS AS MY PET NOW!!! It’s my life goal now, haha. Oh and I forgot to mention my obligatory message as a new commenter on my blog. I’d really appreciate if you could follow my blog! Comments/followers like you are what keeps this blog going. 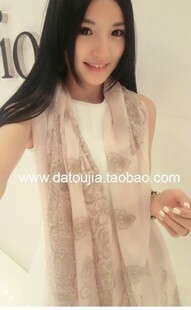 If you have any further Taobao questions, I’d be more than happy to answer as well.